Twenty-one Bahraini fishing boats have been seized in Qatar after straying into its territorial waters, a top official said. The vessels have reportedly been held since Thursday night and the fishermen onboard were arrested. However, they were released the following day, Jassim Al Jeran, Fishermen's Protection Society president, was quoted as saying in the Gulf Daily News. "We understood the fishermen were amateurs who allegedly strayed into Qatar's territorial waters," he said. "But I am not sure if all of them were arrested at the same time but I know the incident happened on Thursday night. We know 21 boats have been seized by Qatari authorities awaiting a court case." Al Jeran stressed the incident showed the urgent need to integrate GCC territorial waters to prevent such events from happening. "Fishermen from all over the gulf have been calling to unite the waters to prevent such incidents," he said. 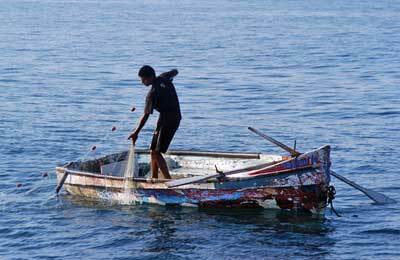 "It can save the livelihoods of fishermen all over the GCC who are struggling." He revealed a fine could be enforced by Qatar's courts on the fishermen, where in the case of amateur fishermen it could be no more than hundreds.